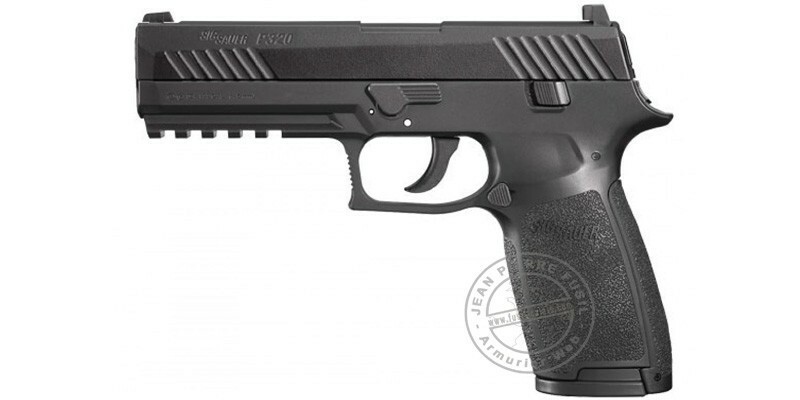 The ASP P320 is not just an airgun, it's a SIG. 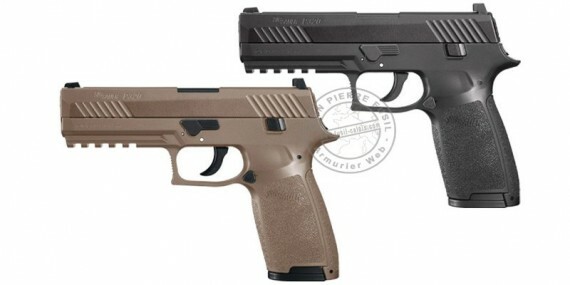 Recently choosed as handgun for tuhe US Army, the Sig Sauer P320 pistol is already available in the ASP range (Advanced Sport Pellets), a beautiful airgun replica. Blowback, it can shoot both pellets or BBs. It has an exclusive magazine "belt-fed", with 30 shots capacity. A great pistol, with technical news, that should quickly take much place ont the market of the recreative weapons! Chambered in .177 caliber, pellets or BBs, this new generation CO2 pistol was designed and manufactured in the respect of the original SIG, both in its proportion and operation. As the original, the Sig Sauer ASP P320 has a polymer frame and a metallic slide, blow-back functioning : while shooting, the slide moves back and comes in place, giving the pistol a better realism. The natural sights are fixed, with white points : aligning them helps to aim the target. It also has a Picatiny rail under the barrel, where to mount a laser or a tactical torch for example. the CO2 charging : the Co2 cartridge is inserted in the handle, that opens easily. Once the cartridge in positio, it just remains to screw it. a high-capacity belt-fed magazine : also located in the handle, the loager is composed with a chain, welcoming 30 ammunitions. This P320 pistols works thanks to a 12g CO2 cartridge, allowing to shoot some 40 shots. It is inserted in the handle, opening its back. The magazine can simply be released pressing a button on the trigger guard. It has a manual safety system, with lateral button.